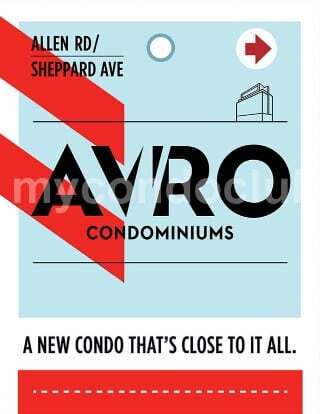 Avro Condos is a new condo development at 203 College Street, Downtown Toronto, ON located right at Allen Road. and Sheppard Avenue. This development has a total of 180 condo units with 14 storeys with retail space at ground level and 2-storeys of office space. It is proposed to have a 356 mixed-unit condos with a 33-storey tower and 58 parking spaces below-ground level. The architect of this project is BBB Architects. Based in the York University Heights neighbourhood in Toronto, this condominium has 180 condo suites and a 14 storey building. Having suites like 1 bedroom + 1 bathroom. 1 bedroom + flex+2 bathroom and 2 bedroom and 2 bathroom. Additional features include a a dog spa with an outdoor dog run, a multi-purpose lounge and party room, a fitness centre, and a spacious outdoor patio. An ideal place for barbeques and al fresco dining, rooftop terrace located on the 14th floor featuring an indoor lounge, outdoor cabanas, and sun loungers offering a stunning panoramic view of the city all year around. The party room will have a kitchen, multiple seating areas and a central fireplace feature. The dining area in the party room will have bbq barbecue, dining, lounging terrace with spectacular city view. Also, Year round events, cultural festivals and concerts. Sports Centre Features Soccer, Basketball and Volleyball facilities. 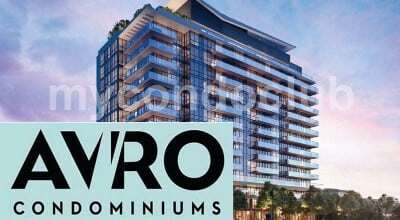 The Avro Condominium is in North York, surrounded by large businesses, numerous offices and neighbourhoods like Toronto Centre for the Arts, Downsview Park Merchants Farmers Market, Downsview Park Sports Centre, the Granite Club, Fairview Mall, Centerpoint Mall, Shops at Don Mills, Yorkgate Mall, Bayview Village, the Sheppard Centre, Black Creek Pioneer Village, Toronto Aerospace Museum, Ontario Science Centre, the Aga Khan Museum, North York Ski Centre, Gibson House Museum, Edwards Gardens, Toronto Botanical Garden, and the North York Central Library. Lots of cafes and restaurants to eat like Keg Steakhouse & Bar, Paese Ristorante, Nome Izakaya, Union Social Eatery, Katsura, Annvita Tea Room, Agra Fine Indian Cuisine, The Captain’s Boil, Milestones Grill & Bar, Taylor’s Landing, Pickle Barrel, Trio Restaurant & Bar, Il Fornaro, Fox & Fiddle, and Le Montmartre. Few minutes to the Downsview Station, Highways 401 and 400, York University and upcoming York Spadina expansion from Avro Condominiums. Also, minutes away are the Yorkdale Shopping Centre, 0.2km to TTC Subway Downsview station, Highway 401, the Sheppard Subway, Downsview Airport, the Don Valley Parkway, Yonge, and the York Mills Station, and TTC, movie theatres and restaurants, supermarkets, shops in the area are so close to the Avro Condos. Downsview Park and Earl Bales Park are some of the parks close to the Avro Condos in North York.